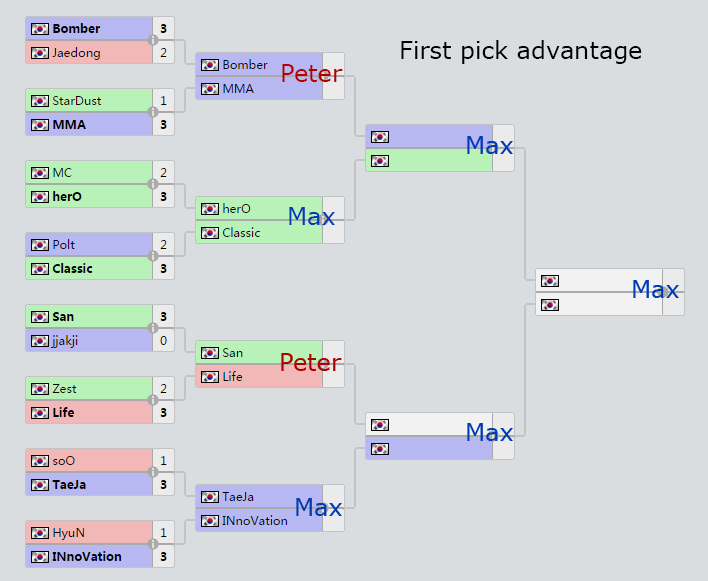 With the WCS Grand Final 2014 Ro8 goes live in less than 12 hours, I have made a bet with a friend in the office. This deserves an ESL Nerdballer Award. There are seven series left in Blizzcon. 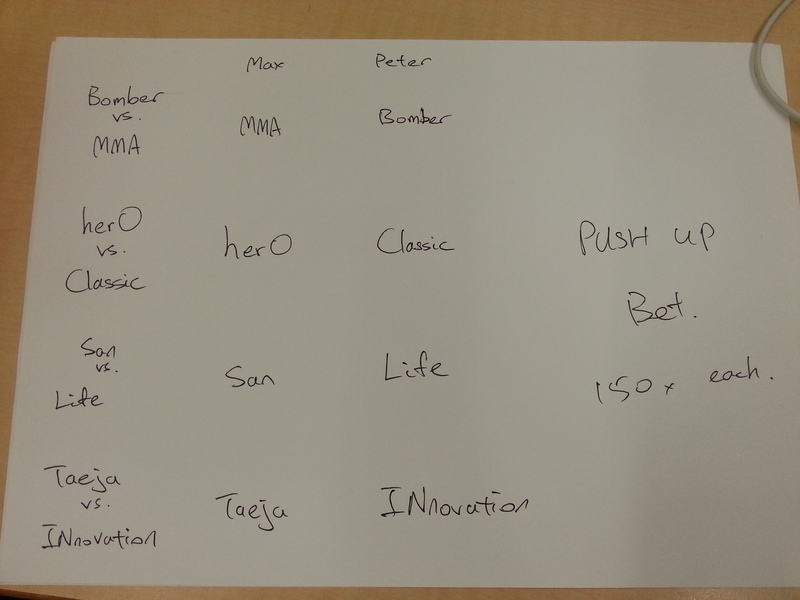 150 push ups for each series. 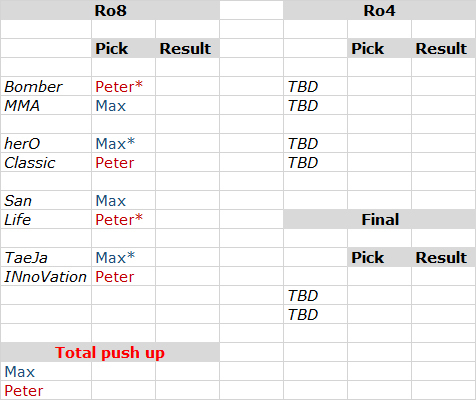 Since both of us are PhD students, I decided that push-up provides a higher stake than actual money. I’m not saying we’re rich, but let just say, we’re more physically vulnerable than financially. Watching the other nerd struggling with four limbs on the ground in office is more satisfying than epic Widow Mine shots. Don’t ask me how it somehow ends up with 150 for each series. We used a random number generator to decide who got to pick the winner first for each series (the other person is forced to pick the other guy obviously). I won 5/7. Just a bit more on the rules. Only the loser does it. 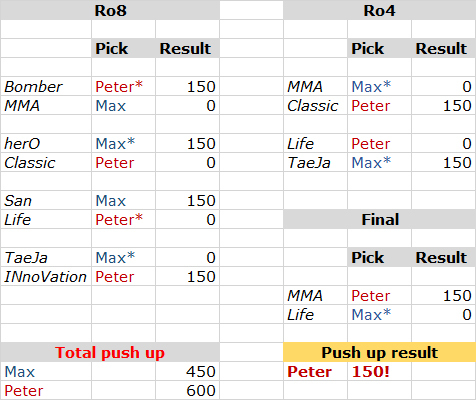 The number of push up done is equal to the difference in the number of series won. For example, the score is 5-2. The loser has to do 150 x 3 = 450. Thus, the minimum is 150 and the maximum is… I don’t want to know. Here is the first day bet. No push up for me. Even my grandmother does more than 1050 pushups a day.